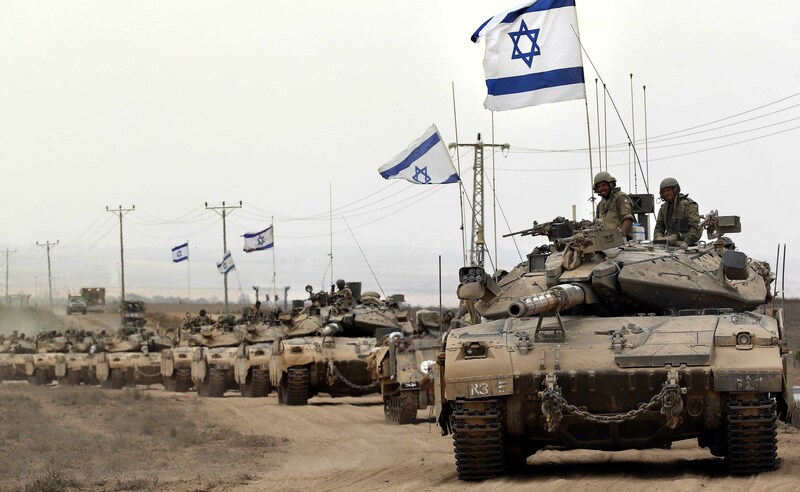 Israel is deeply involved in the Syrian war, though it keeps a low profile. A few days ago Israeli Prime Minister Benjamin Netanyahu inadvertently revealed that Israel has carried out dozens of attacks against Hezbollah arms convoys in Syria, when his remarks were picked up by a live mic and relayed to reporters. It was known before, that Israel had assassinated Hezbollah members. 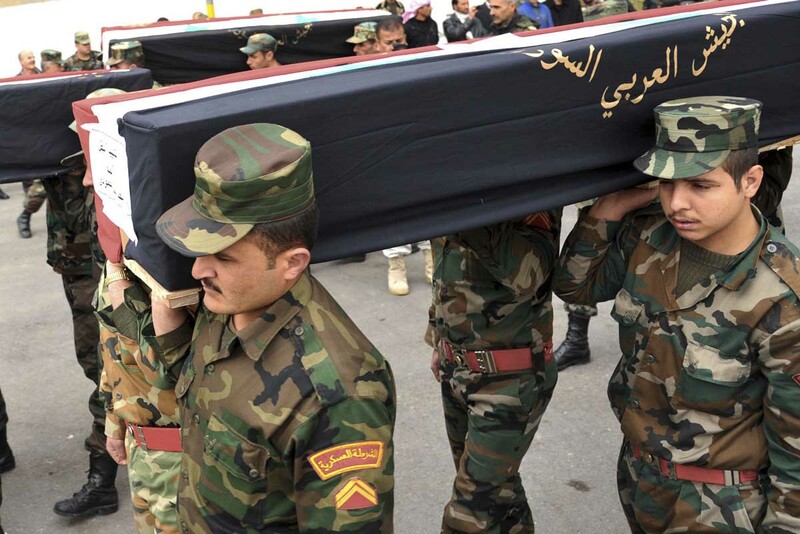 In January 2015, Jihad Mughniyeh, son of Hezbollah’s military leader Imad Mughniyeh, Iranian commander Mohammad Issa, and three other soldiers were killed in Quneitra near the Golan Heights. In December 2015, Israel killed Hezbollah member Samir Kuntar using surface-to-surface missiles. Kuntar was training militiamen and Syrian government forces. According to reports in Haaretz and Jerusalem Post, Israel has created a safe zone 10 kilometer deep along the demarcation line of the Israeli-occupied Golan Heights by funding and supporting its own FSA (Free Syrian Army) faction, known as Liwa Fursan al-Joulan (Knights of Golan Brigade). Jihadist fighters of other factions are ad hoc supported with weapons, logistics, intelligence, wounded jihadists are patched up in Israeli military hospitals. 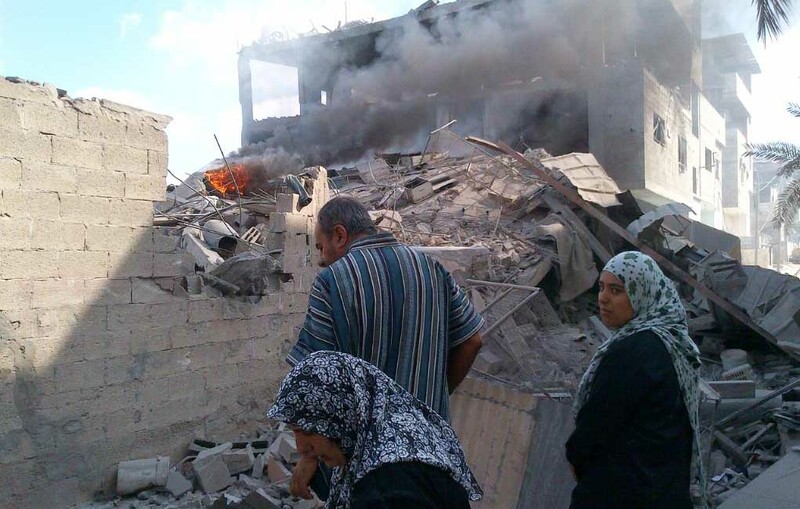 In addition to that, Israel targets Syrian government forces directly. Syrian positions were attacked numerous times under the pretext that errand shells had hit occupied Golan. The last Quneitra offensive by HTS (Harriet Tahrir al-Sham) in June was supported by at least six Israeli strikes which caused severe losses of men and material. So, when the USA and Russia brokered a cease-fire for southwestern Syria (Daraa, Quneitra, Suweida), Netanyahu unsurprisingly declared that Israel was totally opposed to the cease-fire deal because it would perpetuate Iranian presence in Syria in support of the Syrian government of President Bashar al-Assad. Israel has reiterated on numerous occasions that there must be no Hezbollah or Iranian presence along its northern borders. Another Israeli demand is that Iran has to be prevented from establishing military bases in Syria, from creating or leasing a port along the Syrian coast, and from rebuilding Syria’s arms industry. The slowly emerging so-called “Shiite crescent” from Tehran through Bagdad and Damascus to Beirut is surely troubling for Israel who’s security doctrine is based on the division of and the chaos in neighboring Arab countries. There is a peace treaty with Egypt since 1979, with Jordan since 1994, and a covert alliance with Saudi Arabia. There is no peace treaty with Syria, which wants the Golan Heights back and is a steadfast supporter of Palestinian resistance. A Syria which has overcome the Islamic insurgency and is allied with Iraq, Iran, and Lebanon’s Hezbollah, will be indeed a major cause of concern, and not only because the Syrian people will never forgive Israel. 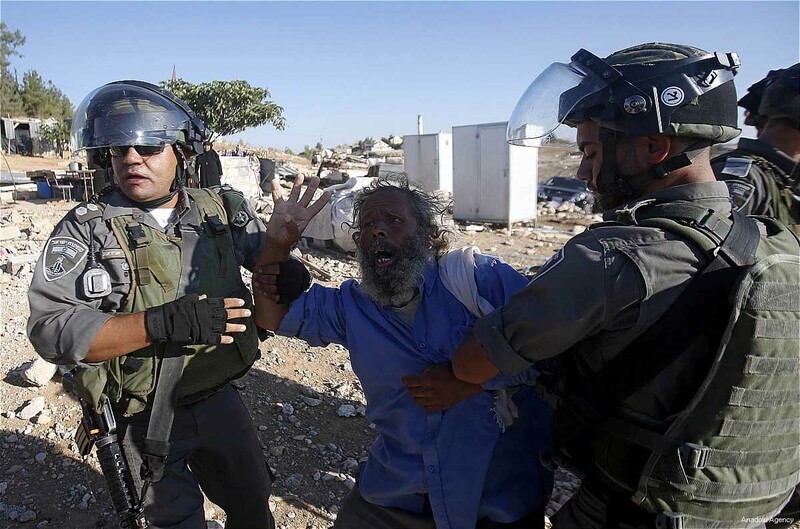 When Israel makes life for Palestinians as miserable as possible and takes every chance to humiliate them, it can only do so with impunity because there is no Arab solidarity, the international community turns a blind eye, and the Jewish lobbies in both USA and Russia make sure, that Israel is not restraint and will not be held accountable. These favorable conditions would be largely changed if Syria survives and wins the war. The fight for resources is an important driver of Israeli policy, maybe even more than the strife for regional hegemony and military dominance. Gaza Marine is a natural gas field off the coast of the Gaza Strip. Maritime law and Israeli occupation of the Palestinian territories complicate the question of who owns this gas field. Although it is legally under the jurisdiction of the PA (Palestinian Authority) as a result of the Oslo Accords, Israeli forces have prevented Palestinians physical access to the field. The Leviathan gas field in the Mediterranean Sea is not only claimed by Israel, but also by Lebanon. The field even reaches up to the Syrian coast and Syria may eventually take a stake. Big oil deposits have been found in the occupied Golan Heights. Afek Oil and Gas, an Israeli subsidiary of the US company Genie Energy Ltd. already started drilling. There are speculations, rumors, and conspiracy theories which link Genie Energy, Goldman Sachs, some well-known billionaires, and the Syrian conflict, though nothing is proven. Oil and gas may be essential resources, but water is even more important for human survival. All wars in the MENA (Middle East and North Africa) region can be viewed as water wars, since draughts have become permanent, water tables have dropped, and aquifers are exhausted. The deserts in Iran, Iraq, and Syria expand constantly, all three countries have severe water shortages. In Iran Lake Urmia disappeared, temperatures in the city of Ahvaz recently reached a record 129 degree Fahrenheit (53.7 degree Celsius). Israel has water scarcity too. The Jordan River is reduced to a trickle and the Dead Sea, at the end of the Jordan River, is constantly shrinking and will soon disappear just like Lake Urmia. 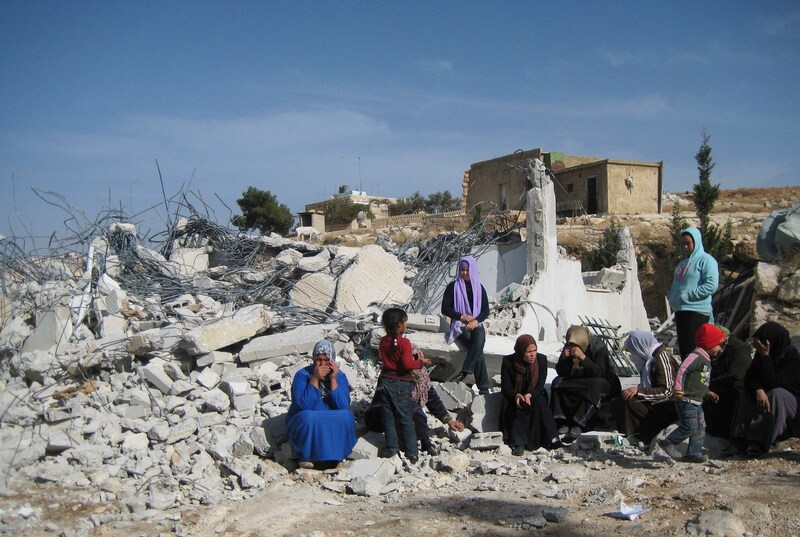 In 2008, Israel teetered on the edge of catastrophe. Israel’s largest source of freshwater, the Sea of Galilee, had dropped to within inches of the “black line” at which irreversible salt infiltration would have flooded the lake and ruin it forever. Water restrictions had to be imposed and many farmers lost their crops. Israels agriculture and economy suffered but Syria fared even worse. As the drought intensified and water tables plunged, the wells ran dry and Syria’s farmland collapsed in an epic dust storm. More than a million farmers joined massive shantytowns on the outskirts of Homs, Damascus, Daraa and other cities in a futile attempt to find work and purpose. They were the people who would be recruited for the protests which started the war. To alleviate the water shortage Israel built a string of desalination plants along the coast (Ashkelon, Hadera, Sorek, Palmachim, Eilat, Ashdod), but desalination needs lot of energy, kills marine life, and desalinated water lacks trace minerals (magnesium, calcium) which the human body needs. Israels sophisticated water treatment systems recapture 86 percent of wastewater for irrigation, yet, as the climate gets hotter, more irrigation is needed, while the rivers and wells may run dry one day. The scramble for water is a main reason for the Syrian war and it is the reason why Israel illegally annexed the water rich Golan Heights from Syria. 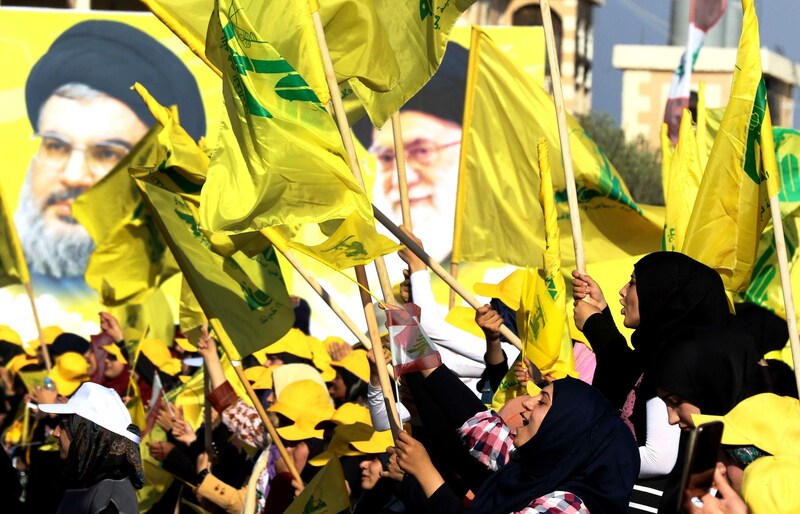 It is also the reason why Israel wants to conquer the Litani river area in southern Lebanon, though at the moment Hezbollah, supported by Iran and a close ally of Syria, is in the way. It is also the reason, why Israel will not leave the West Bank, because the West Bank Mountain Aquifer is desperately needed. Only a quarter of Syria is arable land, and a big part of this cannot be used without irrigation. Syria needed since years to import grain, mainly from Ukraine. After the Maidan coup Kiev stopped the deliveries and Russia has become the main provider of food commodities. Syria has not only lost the Golan Heights, Turkey in the north diverts water from the Euphrates River for irrigation and hydroelectric dams (Southeastern Anatolia Project). Which means in the end, that Syria, robbed of its most important water sources, will not be able to feed the five million or so refugees if they ever come back. Israel is surrounded by Arab populations who are hungry and thirsty. The Gaza Strip is nearly uninhabitable, Yemen, and after that the whole Arab Peninsula will become uninhabitable too (Saudi Arabia has stopped agriculture and instead buys land in Africa and Latin America). Where shall the thirsty and hungry people go? Millions will have to look for a new place, but Europe and the USA apparently don’t want them. Israel also doesn’t want them and it would be hypocritical to criticize the Israelis when their worries and objections are not different to that of other popular migrant destinations. The worries are: that migrants will destabilize society, increase crime, strain the environment, become an alienated and secluded population, a thorn in the social fabric, and a constant cause of social unrest. Just like the US-Americans and Europeans want to preserve their cultural heritage, Israel wants to preserve the Jewish culture. Which is a rich and vibrant culture, no doubt about it. To give up social and cultural traditions, to cooperate, adapt, mingle, blend, and integrate with other tribes is not in the DNA of Israeli Jews. This is a matter of evolution by natural selection, as the Jews who adapted, integrated, and were assimilated into their host societies certainly were not the ones who descended onto Palestine after World War II. So, the Europeans close the Balkan route and confine migrants to internment camps on Lesbos and other Greek Islands, US President Trump imposes a travel ban for Muslims and tries to build a wall on the Mexican border, Israel erects a separation wall in the West Bank and Gaza Strip. The difference is, that Palestinians in both the Israeli heartland and the occupied territories are now second class citizens, that Israel is an apartheid state, that the native Palestinians, Christians and Muslims alike, are despised by the Jews and, as mentioned before, humiliated and oppressed. The difference is, that Israel never tried to be a force for good in the region, never addressed the concerns of its neighbors, never compromised, never built social, cultural, economic ties, never helped, mentored, taught, and trained people in the less advanced and less affluent neighboring countries. The chance to discuss, cooperate, construct the framework for a common future would have existed even after Nakba (the Palestinian exodus) in 1948. There would have been a chance for reconciliation as time was healing the wounds, but nobody beyond the few lonely and ignored activists tried and the chance was missed. Unspeakable, unimaginable suffering, death, and destruction is caused by the Middle Eastern wars. It is no worry for the politicians, generals, strategists, and industrialists of the empire (the alliance of neocolonial powers). These people don’t mind to be cardinal sinners, they don’t believe in justice. Uri Avnery, a well known Israeli writer who is seen as an “elder statesman” and sometimes also undeservedly is called a peace activist, in December 2011 published the widely read and discussed text “Shukran, Israel,” an analysis which concluded that Israel unwillingly on every step of the way aided the resurgence of Islamic fundamentalism. He continued with the example of the PLO under Yasser Arafat. The PLO was a secular organization, with many prominent Christian members, aiming at a nonsectarian Palestinian state. The PLO was the enemy of the Islamists, who were talking about a pan-Islamic Caliphate. A second example in Avnery’s text describes the 1982 occupation of Lebanon, where Israel encouraged Hezbollah to outflank the insurgent group Amal. The third example is the Muslim Brotherhood in Egypt, which saw its fortunes rise because of the barbaric and inhumanbe treatment of the Palestinians and especially the blockade of the Gaza Stripe. The fourth example is Iran, where Israel during the regime of Shah Mohammad Reza Pahlavi made big money by selling weapons to the Iranian army. Israeli agents trained the Shah’s dreaded secret police Savak and it was widely believed that they also taught them torture techniques. There was close economic cooperation and the Shah financed and helped to build a pipeline for Iranian oil from Eilat to Ashkelon. All these are correct observations and Avnery’s conclusion was right with the exception, that the support of Islamic fundamentalism was not unwillingly but deliberate. It was deliberate and nobody in the higher echelons of the Israeli leadership ever regretted the development, because the resurgence of Islamic fundamentalism is cementing the patriarchal social structures, strengthening or helping to reinstall feudal systems, perpetuating sectarian and ethnic divisions, prohibiting scientific, technological, economic progress in Arab nations. The resurgence of Islamic fundamentalism and the toppling and murder of secular leaders (Najibullah in Afghanistan, Arafat in Palestine, Hussain in Iraq, Gaddafi in Libya, Assad still in the works) is the best thing that can happen to Israel and its neocolonial allies USA, Britain, France. It gives a reason to funnel money to the Military Industrial Complex, it makes possible to curtail civil rights and increase surveillance at home citing the terror threat, it will allow to exploit the resources of Arab nations for a pittance as long as there is any drop of water or oil left in the ground.